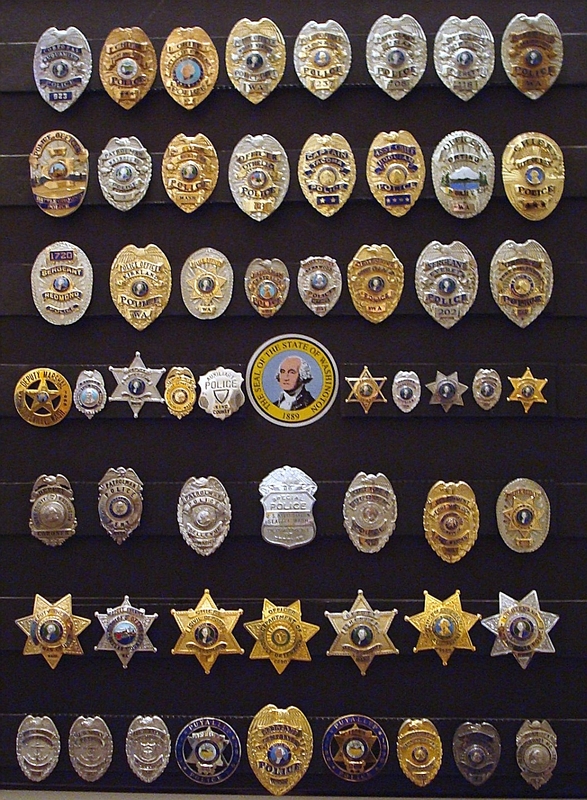 This is a display of Seattle Police Department badges that includes a badge from 1918-1932, current style officer, hat badge, auxilary officer hat badge, sergeant, detective and captain "second" badge. 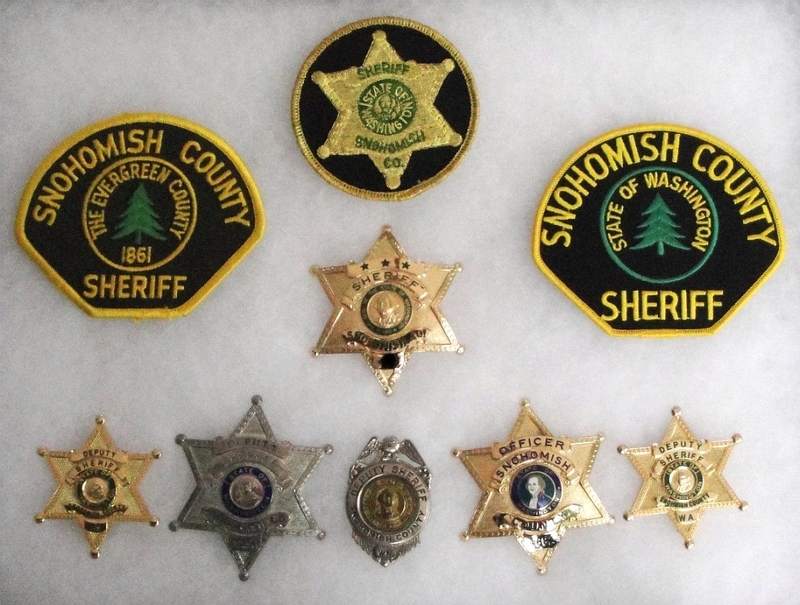 Badges and patches of Snohomish Country, Washington. 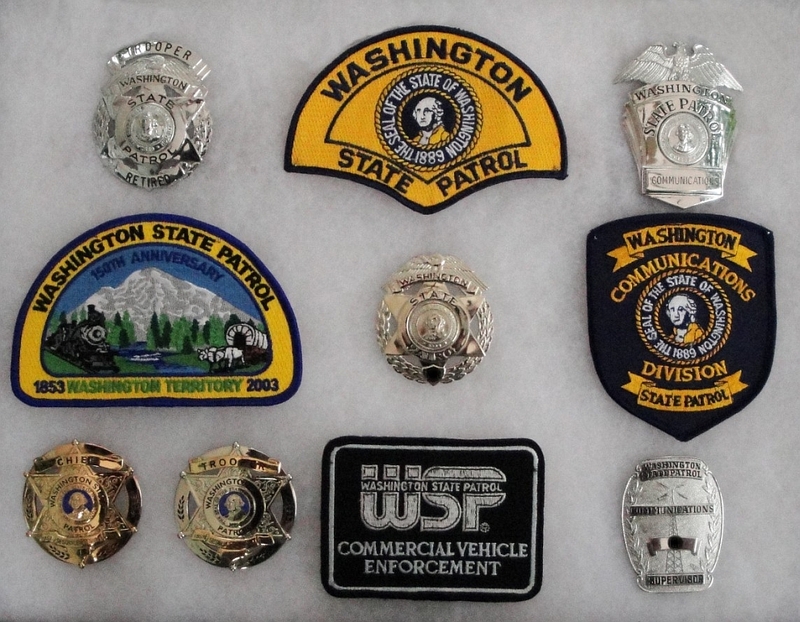 Badges and patches of the Washington State Patrol. 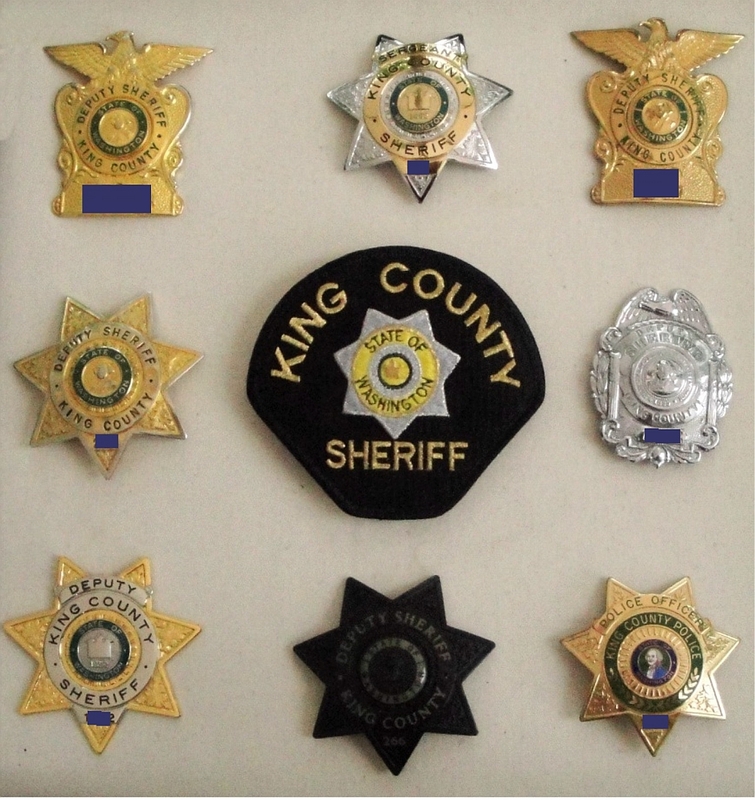 Badges and current style patch of King County, Washington. Various badges of Washington state. 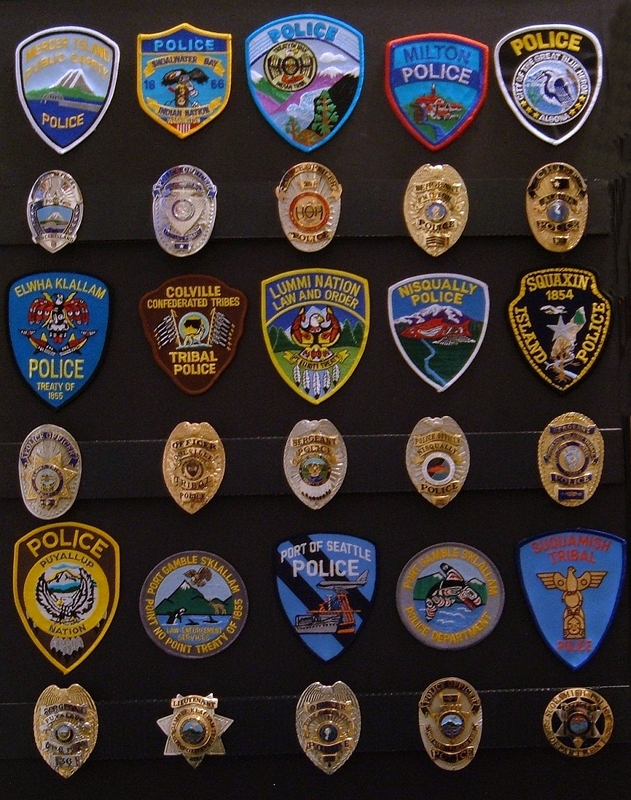 Various badges and patches of Washington state police and tribal agencies.